The 2018 William Floyd Colonials girls varsity tennis team is pictured with Coach Dave Pia. Update as of 10/19: After a hard-fought battle, the Colonials fell to East Hampton 6-1. They won first doubles and lost second- and third-doubles in a tiebreaker. Congratulations on another nice season for Coach Pia and the girls! Update as of 10/18: The Colonials won their opening round playoff game versus Mattituck by a final score of 4-3! Saskia DaSilva won her singles match 6-3, 7-5 to clinch it for the Colonials. All three doubles teams, Hailey Loughlin/Chandni Patel, Lindsey Boocock/Sophia Johnson, and Amanda Jones/Isabella Saladin, won their matches as well. The No. 10 ranked Colonials will travel to face No. 7 ranked East Hampton on Friday, October 19, for their second-round matchup. The William Floyd Colonials girls’ varsity tennis team recently wrapped up their regular season with a hard fought 4-3 victory over Eastport-South Manor, improving their overall regular season record to 10-6 good for third place in their 12-team division. This the 16th consecutive year that the Colonials have qualified for the playoffs, a remarkable span in which they have posted 10 or more wins in 14 of those seasons. The Colonials, under the leadership of the legendary high school tennis coach and two-time USTA Coach of the Year Dave Pia, look to bring that momentum into the playoffs. 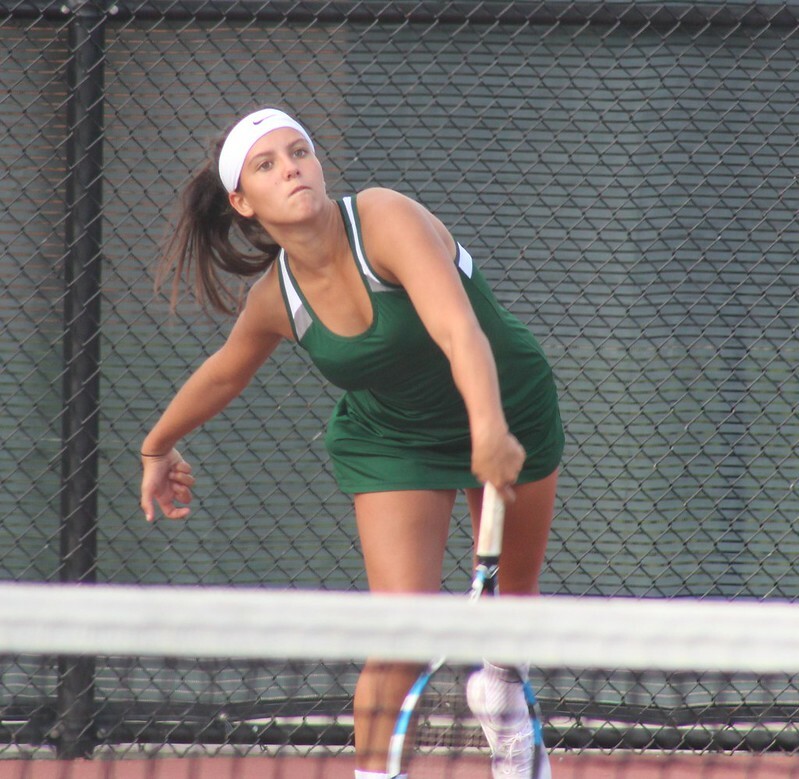 This year’s team was led by returning senior and All-State player Hailey Loughlin, who anchored a strong doubles line-up consisting of sophomore Chandni Patel, sophomore Rachel Zummo, freshman Amanda Jones, junior Lindsey Boocock and sophomore Sophia Johnson. The singles lineup was led by junior Alyssa Drell and sophomore Saskia DaSilva, who both won key pressure matches this year that helped lead the team to the playoffs. Also contributing to team’s success this year with wins included senior Mia Murrell, junior Samantha Komnick, sophomore Alice Li and freshman Isabella Saladin. Additional photos in the album below!